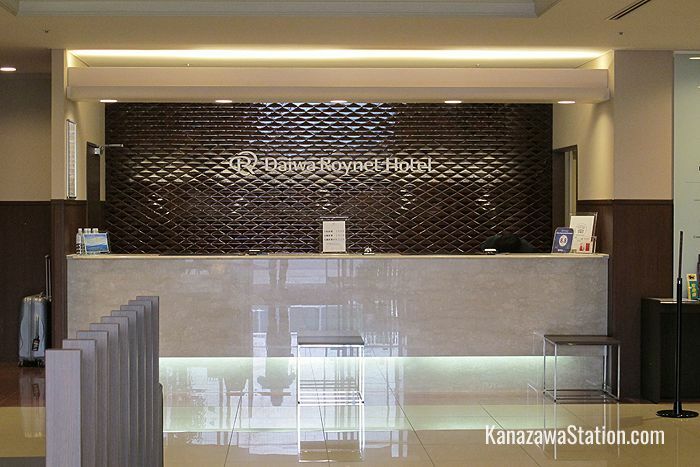 Daiwa Roynet Kanazawa is a superior business hotel located just 3 minutes from Kanazawa Station. Like many business hotels Daiwa Roynet offers simple no frills accommodation at very reasonable prices and is ideal for short stays whether on business or for pleasure. 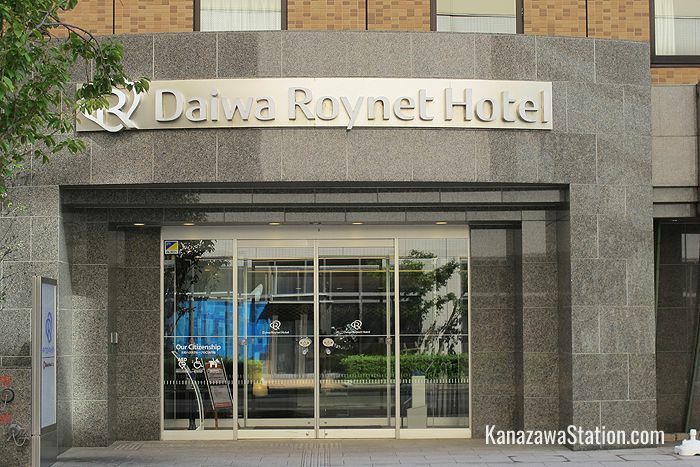 Daiwa Roynet try to distinguish themselves from other business hotels however, by offering heartfelt hospitality and excellent services and amenities. This hotel received a certificate of excellence from Tripadvisor in 2016. 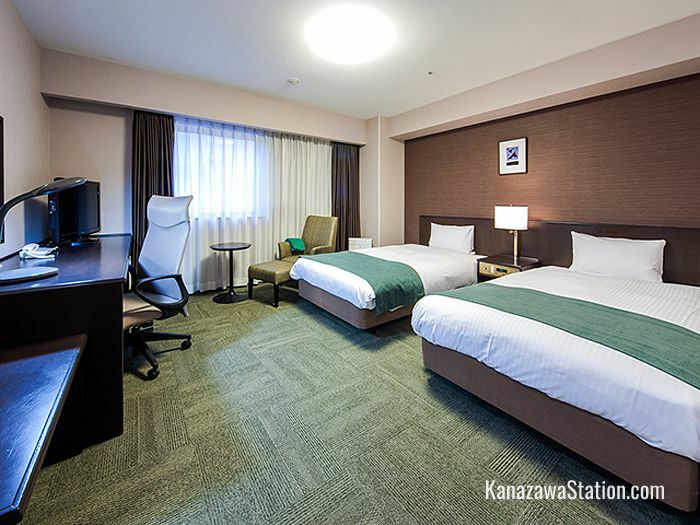 Daiwa Roynet Kanazawa has 208 rooms with single rooms, twin rooms, double rooms, and deluxe double rooms available on smoking and non-smoking floors. There is also a “universal room” which is wheelchair accessible and a wheelchair can be borrowed from the front desk if needed. All rooms have air conditioning, a combined humidifier and air purifier, high speed internet, free Wi-Fi and LAN cable connections, LCD TVs with free satellite broadcasting and pay per view video on demand, a refrigerator, a trouser press, a desk with director’s chair, an electric kettle, and nightwear. Bathrooms are supplied with a bathtub with shower attachment, a bidet toilet, a hair dryer and a full set of complimentary toiletries. Daiwa Roynet also has special Ladies’ Rooms for the exclusive use of female guests. These come supplied with special amenities such as full length mirrors, foot massage machines, and ion facial steamers. The bathrooms for these rooms are supplied with Mikimoto brand shampoo and conditioner, and Yakult brand skincare products. A daily breakfast is served in the Yarukijaya Restaurant from 6.30 – 10.00 with last entry at 9.30. The breakfast is a buffet with a variety of both Japanese and Western style dishes and a heavy emphasis on local dishes and seafood brought in fresh from the harbor. If breakfast is not included in your accommodation plan then it costs 900 yen per guest, however pre-school age children can eat for free. There is a public computer and ink jet printer available for guests’ use in the lobby area. A limited number of personal computers can also be rented for 800 yen a night. This hotel has a self-service coin laundry with both washers and dryers which is open 24 hours a day. The machines take 100 yen coins and automatically dispenses washing powder. You can get change for these machines from the change machine in the lobby. If you need refreshments the hotel has vending machines with both soft drinks and alcoholic beverages and also an ice-making machine. The drinks are sold at regular prices and are available 24 hours a day. 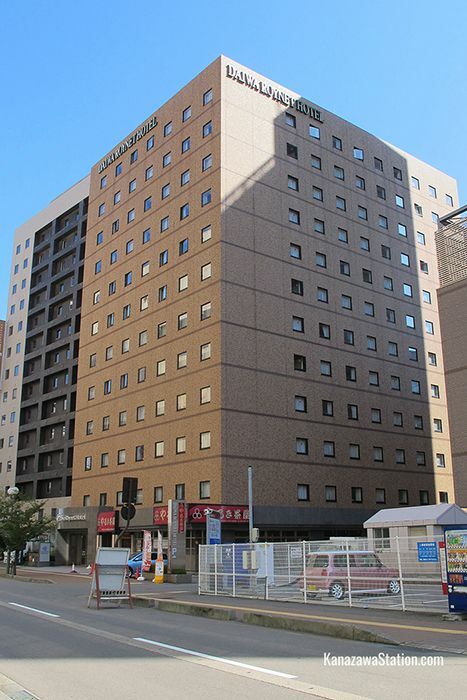 For those traveling by car 44 parking spaces are available for 1000 yen per night. Parking is on a first-come first-served basis, but if the lot is full they can direct you to an affiliated parking lot nearby. The Daiwa Roynet group of hotels are committed to providing their guests with cleanliness, hospitality and security. To ensure guests’ peace of mind, the main entrance of the hotel is locked at midnight until 6:00 am the following morning. However, guests can use their room key cards to reenter the building during these hours. And if you forget your key you can still use the intercom to have the staff let you in. Daiwa Roynet Kanazawa is a 3 minute walk from the east exit of Kanazawa Station. Its close proximity to the east exit bus terminal means it is very convenient for sightseeing buses, and guests can get to all the major tourist locations in just 20 minutes.